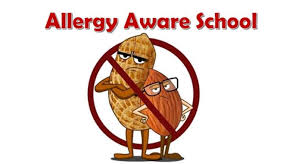 As a school we are unable to promote that we either ‘ban nuts’ or are ‘nut-free’ – being ‘allergy aware’ is a more appropriate term. Minimising the allergen is one of several strategies that can be implemented to reduce the risk. Promoting a school as ‘nut-free’ is not recommended for the following reasons: it is impractical to implement and enforce; there is no evidence of effectiveness; it does not encourage the development of strategies for avoidance in the wider school community; it may encourage complacency about risk minimisation strategies (for teachers, students and parents/guardians) if a food is banned. At East Narrogin we do insist that minimising exposure to particular foods such as peanuts and tree nuts can reduce the level of risk. This can include removing nut spreads and products containing nuts from the school canteen, but does not include removing products that ‘may contain traces’ of peanuts or tree nuts. We also request that parents/guardians of classmates of a young student (K-6) do not include nut spreads in sandwiches or products containing nuts in the lunchbox.